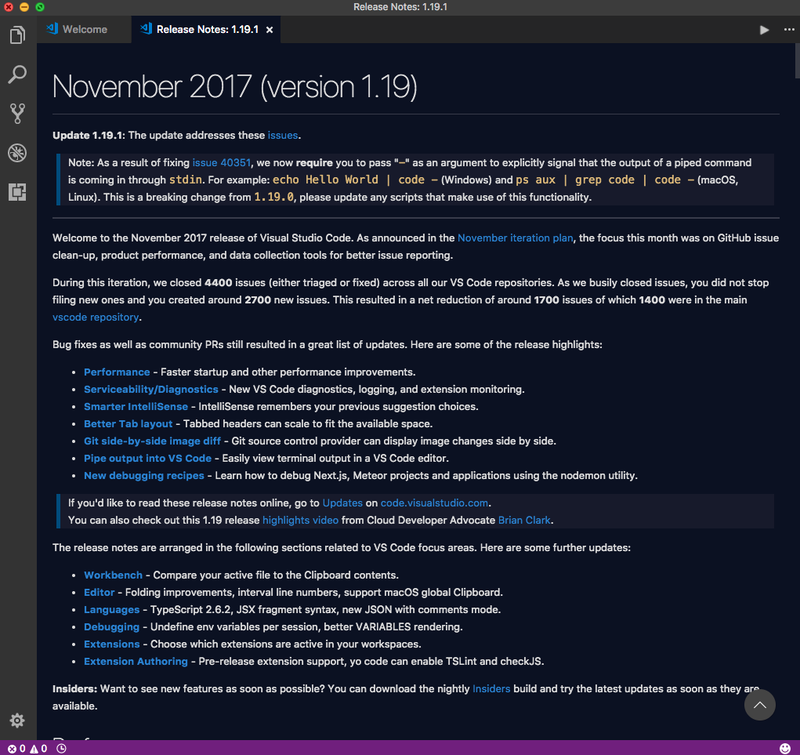 In my post List of the tools I use and why I use them I already mentioned I use Visual Studio Code as my main editor. Before I used different editors, but VSC replaced them all (core + extensions), so it's easier for me to just use one editor. Next to that, VSC is controlled by a company, gets monthly updates and there's a huge community behind it that provide extensions. 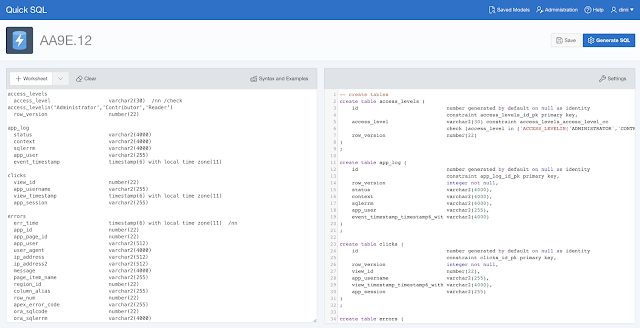 In the Oracle APEX community many people are using Visual Studio Code, you can read a nice article of Morten; Using VS Code for PL/SQL development and Christope; Compile PL/SQL with VS Code using SSH. Adrian also created a nice extension for Oracle APEX. I highlighted the two extensions above. 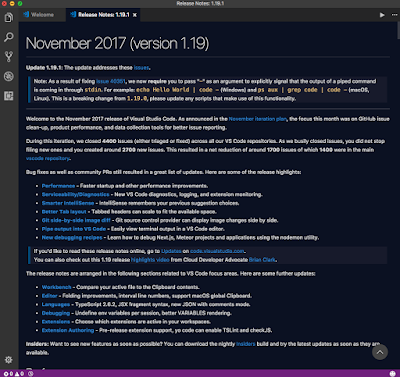 Other editors that are often being used by Oracle APEX developers are Sublime Text and Atom, which have similar features than VSC, so if you read something nice that those editors can do, you can do it in Visual Studio Code most likely too e.g. Jorge's excellent post about Multi-Cursor Editing or Martin's truth about developing with Atom. If you wanted to glue them horizontally, you can use +append (I'm on a Mac). 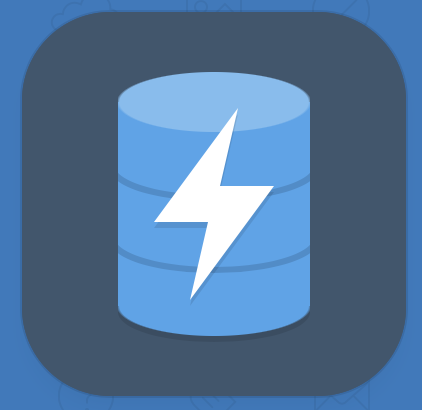 In my blog post Create the Oracle database objects I go over the history how I created database objects and why I think Quick SQL is great and why I use it. I guess most people typically use Quick SQL at the start of a new project, as it's the quickest way to create your data model and Oracle database objects. That is my primary use case too, but I started to use Quick SQL even on projects where database objects already exist. Now we could do those changes manually, but I thought it made much more sense to create the data model in Quick SQL and use the features that come with Quick SQL. By clicking a checkbox we can include a Row version, Quick SQL generates the triggers automatically in an APEX aware form, we can generate as much sample data as we want by adding /insert and we can use all the other features that come with Quick SQL. 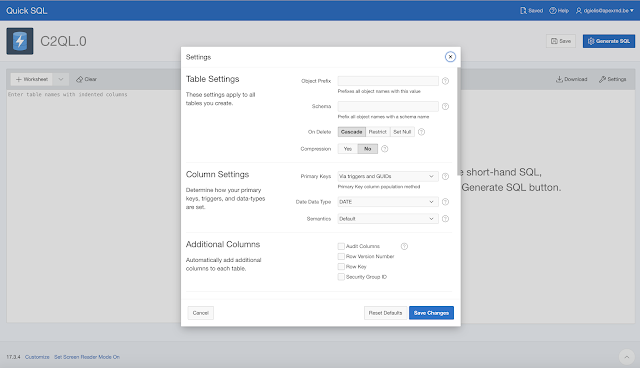 For example when you want to include a history table in the future it's just another checkbox to click. It's also easy to check-in the Quick SQL script into source control, together with the generated DDL. If changes need to be done, we can adapt in Quick SQL and generate the DDL again and we see the changes immediately. It would be nice if Quick SQL could generate the ALTER statements too, but that's not the case yet. But it's easy enough to see the changes that were done by comparing the scripts in source control. 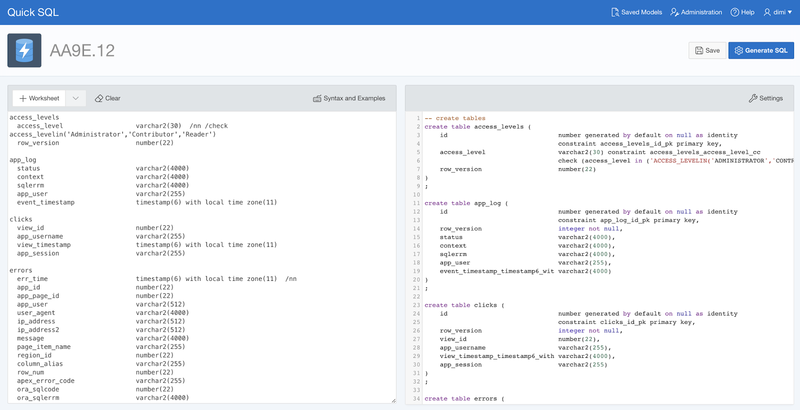 If you also want to reverse engineer an existing model into Quick SQL, here's a script that gives you a head start generating the markdown style format. Hopefully you see the benefit of using Quick SQL in existing projects too and the script helps you get there. Also Quick SQL gets frequent updates - in the upcoming release (17.3.4), which is already online, you can add a Security Group ID to every table (to make your app multi-tenant) and you can rename the audit columns to your own naming conventions.